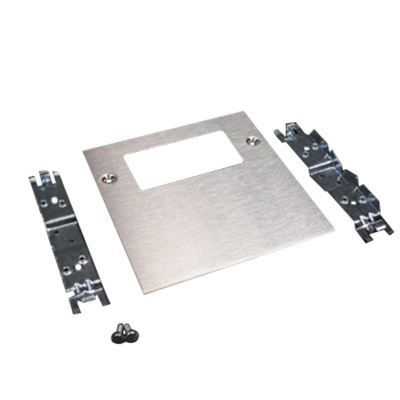 Wiremold 1-Gang receptacle cover is suitable for use with S4000 series multi-channel steel surface raceway. The receptacle cover measuring 4-1/2-Inch x 4-3/4-Inch, has steel construction with stainless steel finish for corrosion resistance and durability. It has one rectangular receptacle configuration. Receptacle cover meets UL File E41751, CSA File LR48952, UL5 and ADA, RoHS standards.